Ah, darn it. I already had a Knife Dance set in mind for Masagon. Oh well, it doesn't matter. Dragon strike is -5 proity which means even though its fast, the move will go second. (2011-11-04, 12:28 PM)orboknown Wrote: nice job pein. Us = Everyone that plays the game. but by making the trainers in-game better it makes the game better cuz more people know what they are doing. -Yo, no swear abbreviations r.r Yea, I catch those things. What about engi? Should I get a sp. attack raising one? speed 96, any hallu/tremb monster do better than that(I mean those commonly used pvp zenith/legends). 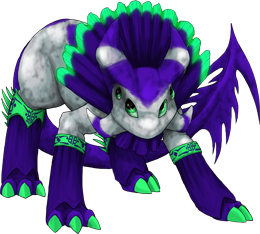 In fact, hallu/tremb is never the best nature for a monster that has neither speed boost move nor 130+ speed.